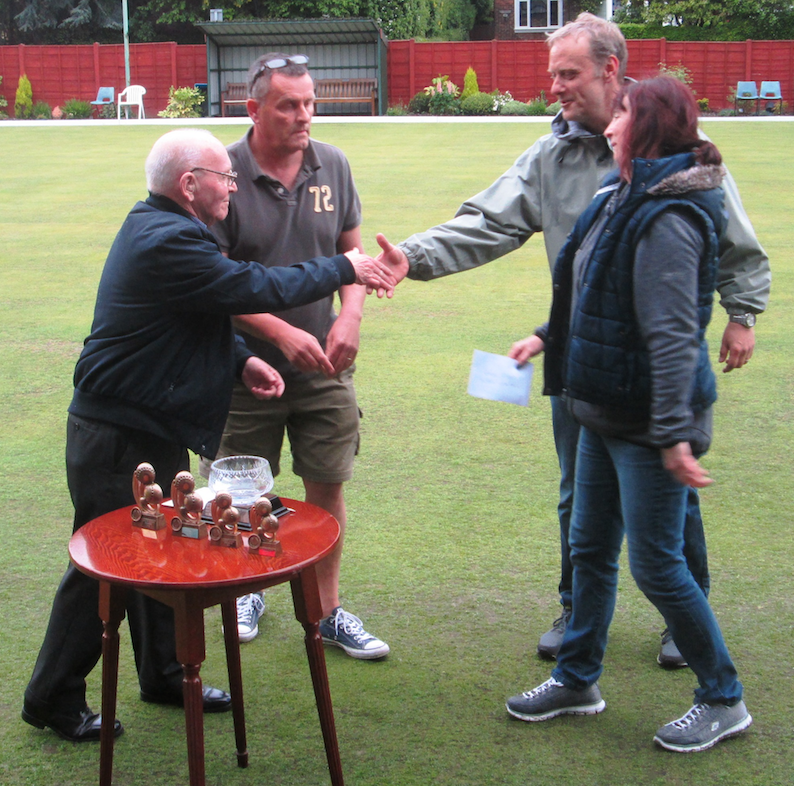 On Saturday 21st May our Club proudly hosted the 10th Jean Potts Memorial Trophy bowling competition, which attracts mixed pairs from all around the region. The weather was rather more mixed than we've come to expect from previous years. In fact, early in the afternoon bowling was suspended for around 10 minutes due to very heavy downpour. Yet, spirits were never dampened, warm sunshine soon dried the green and everyone still had plenty of fun. This year Alan raised a record £822 for the British Heart Foundation. This beats the 2014 total of £810. Most of the money came from the raffle and catering. However, this time we also had a generous on-the-day bowling team donation plus money from Victor Boughey's sponsored walk along the Gritstone Trail. Alan, Joan, Tommy and all the family would like to thank everyone who contributed to making the day such a success and in reaching such an amazing total. And special thanks goes to those who generously donated prizes for the raffle, plus anyone who helped to organise the raffle, food and drinks on the day. You all did a fantastic job. As for the competition it was a usual case of tense yet friendly rivalry, giving all those who competed and the cheering crowd many happy memories of the day. The semi finals involved Frank Griffith and Janise Wilson, Mike Read and Cathy Rice, Paul and Linda Plant plus Dave and Sandra Read. 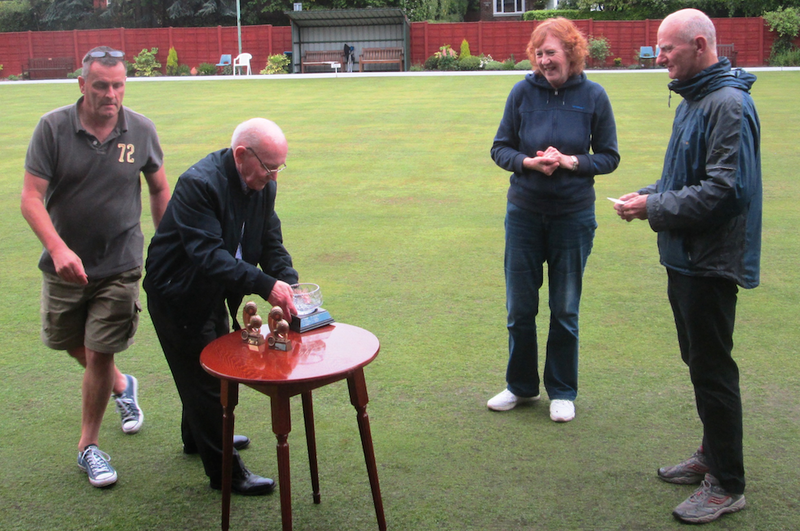 In the end it was Dave and Sandra Read who lifted the winner's trophy after beating Paul and Linda Plant in the final. Sandra is a Club member which means it's the fourth year running that a Club member has won this popular competition. Third place went to Frank Griffith and Janise Wilson. For all enquiries please contact us via email or by phone on 01625 523293. By using this site you accept the terms of Google's Privacy Statement. Copyright © Wimlsow Conservative Club 2018. Simple theme. Powered by Blogger.